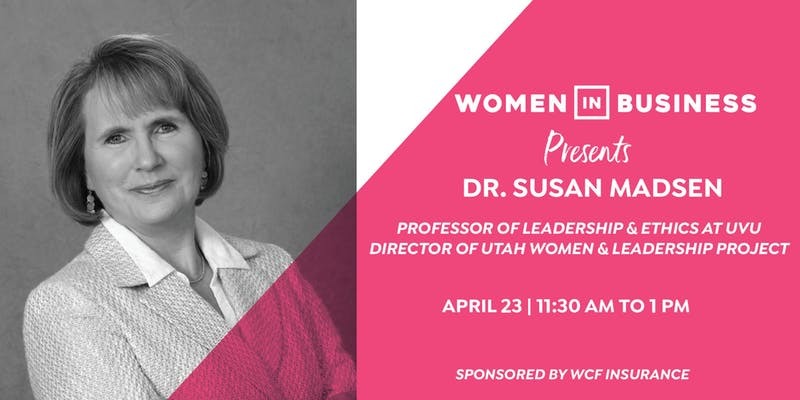 Come hear from one of the Junior League of Salt Lake City Community Advisory Board members, Susan Madsen, speak on the status, challenges, and opportunities of Utah women in the workforce and beyond. Madsen is the Orin R. Woodbury Professor of Leadership & Ethics in the Woodbury School of Business at Utah Valley University. She is also the Founding Director of the Utah Women & Leadership Project, which focuses on strengthening the impact of Utah girls and women. Madsen has written a host of Utah research and policy briefs and snapshots, reports, and op-eds. She is a well-known global scholar, publishing six books and hundreds of articles, chapters, and reports. She is a sought-after speaker in local, national, and international settings. She serves on many nonprofit, community, and education boards and committees, including Envision Utah, Real Women Run, Utah Women in Higher Education Network, United Way of Utah County, Better Days 2020, and Junior League of Salt Lake.Madsen received a bachelor’s degree from BYU, masters from Portland State University, and a doctorate from the University of Minnesota.